Developed to store different equipment in already tight quarters. This cart can do it all. Store 24 SCBA in a small footprint, ready to deploy at a moments notice or up to 32 cylinders or 1400’ of 2 ½” Hose. 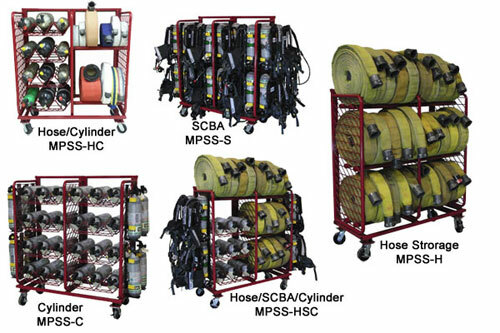 At 59 ½” tall x 51” wide x 21” deep this is the most versatile surplus storage system in the fire service.